JUNEAU, Alaska – The winning bidder for Alaska’s ferry Taku wants to turn the 352-foot vessel into a waterfront hotel and restaurant in Oregon. Portland resident Jonathan Cohen’s $300,000 bid on Friday was six times higher than the next bid, the Juneau Empire reported. Cohen represents a group of Portland investors who want to make the mothballed ferry a floating hotel at a pier in northwest Portland. “Our hope is to bring it to Portland, Oregon, where we’re based and to use it as a way to give this very historic vessel a second life,” Cohen said. The Taku would be home to hostel-style accommodations as well as individual rooms, with the surrounding pier being a terminal for river-related activities, he said. The Taku’s open car deck might be converted into a space for a farmers’ market or small businesses, he said. The lounges could become spaces for “digital nomads” who need working room. “Everyone has just been so positive about this boat, and I think it just has such a wonderful energy about it, and we want to keep that going,” he said. The Alaska Department of Transportation entertained three offers – all below its reserve price of $350,000. The state agency announced Tuesday it had accepted the bid from the Portland group, KeyMar LLC. The state of Alaska will keep about $500,000 worth of lifesaving and other equipment from the Taku for use in its new Alaska Class ferries and other vessels. 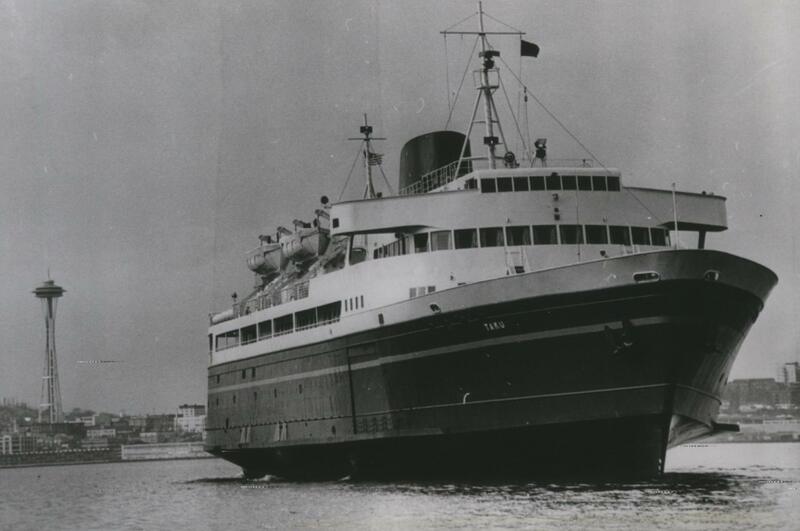 The ferry was built in 1963 and was part of the Alaska state ferry system for over 50 years. It was taken out of service June 23, 2015, and is now moored in Ketchikan. A closing date for the sale hasn’t yet been set. The No. 2 bid, of $50,400, came from Ben Evans of New Zealand. Evans is a buyer for Jabal Al Lawz Trading Est. of Dubai, which scraps ships in India. The No. 3 bid, at $50,000, was from Indra Goundar of Vancouver. Subarmani Goundar operates a ferry service in Fiji and said he would operate the Taku alongside the other ships in his four-vessel inter-island ferry operation. Published: Sept. 19, 2017, 12:33 p.m. Updated: Sept. 19, 2017, 11 p.m.